Congress Passes Bipartisan Budget Act of 2018: On 2/9/18, Congress passed, and the President signed into law, P.L. 115-123—the Bipartisan Budget Act of 2018 (Budget Act). In addition to funding the federal government through March 23, the Budget Act retroactively extends through tax year 2017 over 30 extender provisions. These include the deduction for qualified tuition and related expenses, the exclusion for cancellation of debt income on a principal residence, and various business tax credits. The Budget Act also provides tax relief to victims of natural disasters, particularly those affected by the California wildfires. From a procedural standpoint, the Budget Act requires the IRS to publish a simplified income tax return (Form 1040SR, to be available for tax years beginning after 2/9/18, for individuals who are age 65 or older by the close of the tax year. Other items are affected as well, such as user fees for installment agreements and certain costs associated with whistleblower awards. P.L. 115-123. Foreign Reporting—2017 FBAR Filing Deadline Announced: The Surface Transportation and Veterans Health Care Choice Improvement Act of 2015 changed the due date for filing FinCEN Form 114 [Report of Foreign Bank and Financial Accounts (FBARs)] to April 15 of the following calendar year, with a six-month extension to October 15 allowed. (Previously, the due date was June 30 of the following calendar year, with no extension allowed.) Recently, FinCEN announced that 2017 FBARs will be due on 4/17/18, which is the same date 2017 federal income tax returns are due. However, taxpayers who fail to file their FBARs by that date will be granted an automatic extension to 10/15/18—a specific request for extension will not be required. The announcement can be found at www.fincen.gov/sites/default/files/shared/FBAR_Due_Date_Clarification_PD02-02-2018.pdf . 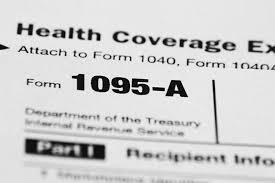 IRS to Reject 2017 Returns without Health Care Information Reported: The IRS has said it will not accept electronically filed 2017 tax returns that do not report on the taxpayer’s compliance with the individual mandate provisions of the Affordable Care Act (ACA). The IRS did not reject such returns for 2016 after the President issued an executive order that directed federal agencies to waive, defer, or delay the implementation of ACA provisions that imposed penalties or fees. The Tax Cuts and Jobs Act reduces the amount of the penalty, or Shared Responsibility Payment (SRP), to zero for months beginning after 12/31/18, but for 2017, the IRS says that it won’t consider an electronically filed tax return complete and accurate if the taxpayer does not report full-year coverage, claim an exemption, or report an SRP on the return. The IRS’s statement can be found at www.irs.gov/tax-professionals/aca-information-center-for-tax-professionals . Procedure—Taxpayers Are Encouraged to Renew Expired ITINs: The IRS is urging taxpayers with expired Individual Taxpayer Identification Numbers (ITINs) to renew them as soon as possible. During tax season, the ITIN renewal application process can take up to 11 weeks. 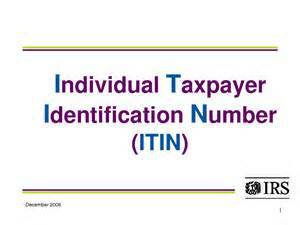 ITINs are issued by the IRS to individuals with a tax filing or payment requirement who aren’t eligible for a Social Security Number (SSN). ITINs not used on a tax return at least once in the last three years are set to expire. Those with middle digits of 70, 71, 72 or 80 expired on 12/31/17, and those with middle digits of 78 or 79 expired on 12/31/16. 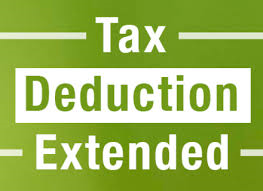 Expired ITINs must be renewed if the taxpayer will have a filing requirement in 2018. Taxpayers who are now eligible for a SSN or have already obtained one, do not need to renew their ITINs, but should notify the IRS of their SSN and previous ITIN so their accounts can be merged. An ITIN can be renewed by filing Form W-7 with all required documentation. News Release IR 2018-18. Looking for additional information? Remember to use our Resources tab on our website at www.integrityintaxllc.com. We have a plethora of information available such as our client worksheets, financial calculators, checklists, due dates, & much more! 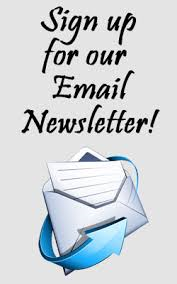 Check it out & remember to sign up for our online newsletter! This entry was posted in Blog on February 24, 2018 by c06675329.